My grandpa was my hero and role model. A bright, warm ray of sunshine to comfort and encourage me when maybe things weren’t always so sunny. Grandpa would instantly brighten any situation he entered. I’ll never forget the way he’d excitedly say “Hiya guy” whenever we saw or talked to each other; the way he would give me a pat on the cheek and a hug and how I knew he was thrilled to be able to spend time with me. He was so incredibly wise, bursting at the seams with life lessons. I’ve never been around someone who was so humble, and yet seemingly had all sorts of reasons not to be. My grandpa had a career characterized by a meteoric rise from a maritime village farmer, to a local community organizer of farming and fishing cooperative organizations, to the president of a national insurance company. In a day and age where we’re fed the lie that the way to climb the corporate ladder is to step on or over those along your way, he didn’t rise to the top because of his killer instinct, ferocious negotiating skills or cunning business sense. No. He got there largely because of the wisdom he gained from the countless life lessons learned over years and years of humble service. It was during those years speeding around the countryside on his motorcycle back in the 40’s, talking with lobster fishermen or potato farmers, or quietly reading his Bible and praying at the kitchen table, that he developed the character that would not only lead him to the CEO chair one day, but ultimately enabled him to live the richest life I’ve ever seen, both in terms of financial and relational wealth. If you’ve read any of my work, you know how strongly I believe that parents have a responsibility to teach their kids how to win with money and in life. In our family, that foundation was laid down by my grandpa. While I never got the sense that grandpa was “rich”, he certainly was wise and shrewd when it came to money. Fifty years in business will do that to a person. After retiring for the second time in his 70’s, he lived out the next 28 years with his material needs taken care of from his years of hard work and planning, and his relational life overflowing with the quality and quantity of friends that no amount of money could buy. It’s why at his funeral over a thousand people packed the church to pay their respects to my grandpa, their friend. It’s been over a year since he left this earth to go home. In that time, I’ve thought about him often, about how I miss him, how much he would’ve loved to see our kids as they grow up, and how he’d be sad that his beloved football team still can’t get it together. But other thoughts have been deeper, more profound. I’ve thought about the life lessons I learned from him, almost all of which weren’t taught with lectures and a wagging finger. No, grandpa preferred to teach using his one of his three favorite tools: jokes, stories, or actions, usually a combination of the three. All the life lessons I learned from him have helped me as I strive to live a truly rich life. I share them with you in the hopes that they’ll guide you to that destination as well. As a boy growing up on Cape Breton Island in Nova Scotia (for some of my American friends, a maritime province on the east coast of Canada), grandpa always joked that his family was the first to have running water in the community; not because they were rich, but because they lived at the bottom of a large hill. Grandpa was full of great jokes and wise quips. 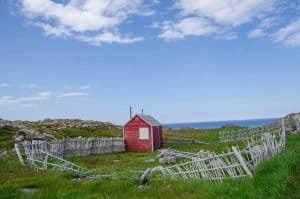 He had one for almost every occasion, and most of them centered on lightheartedly poking fun of his provincial brothers from Newfoundland, a neighboring maritime province. As he moved from a farmer into low level and then executive level management positions, he never lost sight of his roots. He never forgot that he’d been a farmer, living at the bottom of a hill, driving a horse-drawn sled in the winter, humming along community to community to meet with local workers and business leaders to help them build their businesses. He never got too big for his britches, even as his britches started getting nicer. No, throughout his entire life he maintained his humility and approachability right to the very end. And it was this sense of being a Cape Breton boy making good in the big city that drew people to him. There was no air of superiority when he was negotiating a multimillion-dollar deal. No sense of dominance or a power-play when working with his colleagues. This made him remarkably approachable and people wanted to be his friend. Grandpa had more friends than you could shake a stick at, and the kind of friends who would do anything for him. 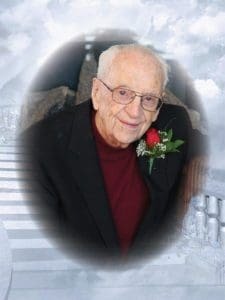 In fact, at the time of his 95th birthday, after having been retired from the insurance company he helped build for close to 40 years, the current CEO flew out from Toronto for the day to attend the festivities and spend some time with him. It’s that type of relationship that my grandpa was able to consistently build, which helped him lead such a rich and fulfilling life. Now even though my grandpa came from humble beginnings, he was in no way just the product of lucky breaks. Grandpa was wise, and he was always keeping an eye toward the future, while not allowing that to take his primary focus off of the present. As a young man, he was tasked with organizing local community members, fishermen and farmers, into large groups who would come together to create an organization whose sum was greater than the individual parts. The whole idea was known as a cooperative, or co-op for short. As grandpa worked hard to establish these co-ops, he was honing his consensus building and management skills in the trenches. 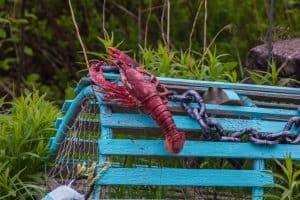 If you can manage 100 gruff, tough, and grumpy lobster fishermen, then managing a few big wig executives is no big deal. As my grandfather had success at the local level, some of the higher-ups began to take notice of this young up and comer. He was a hard worker, strategic thinker, and he treated people with respect and integrity. Grandpa didn’t plan on becoming the head of a massive company. But he was ready to move to the top when opportunities arose that required the type of character traits he’d been developing at the bottom. He was a huge believer in working hard where you were at so that you’d be ready when you were called to a different role that asked more of you. 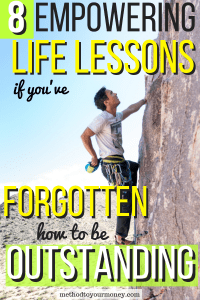 It’s an important life lesson he passed on to me and one which individuals must learn in order to experience both personal and professional growth. As my grandfather’s career accelerated and he became the company president, he started making more money than he’d ever dreamt he’d make. He told one story of feeling so guilty for making more than those in his community ($60 a month) that he had a local bus driver personally deliver his check. In fact, for part of his life, he was tracking towards being a millionaire, a big accomplishment in those days. But, since he’d come from such humble beginnings, he was content living a simple lifestyle. Yes, they had a nice house, though it wasn’t in the style of other high-flying CEO’s of the day. It was a large family home on a quiet street where kids could be kids and family values were emphasized. Think Warren Buffet, not Bill Gates. I do remember he drove nice cars…well nice for grandpa. He and grandma would get a new Buick every 5 years or so. I had intimate knowledge of these cars as they often became our hand me down family cars. 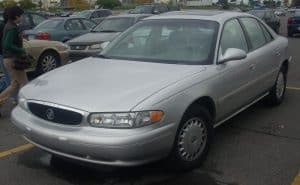 The Buick symbolized how my grandfather handled money. He was willing to pay for quality, with just a hint of understated flash. He was about substance first, then style. And they did go on LOTS of vacations all over the world. My family is kind of unique. My grandparents had 7 kids who ended up moving all over the world, largely to work as missionaries. They had kids and grandkids in the Philippines, Argentina, Egypt, Ecuador, and Indonesia just to name a few. When he and grandma traveled, it was ALWAYS to visit their family. I actually can’t recall them ever taking a trip just for themselves. The bottom line was, grandpa never SEEMED rich. I remember my parents telling me that he would’ve been a millionaire had it not been for a bad investment he made that went belly-up. That shocked me because even though they never ever seemed worried about money, they didn’t seem loaded. For me, that is one of the hallmarks of a truly rich life. Being content with the money you have and not having to worry about it running out. When my grandpa passed away at the age of 98, he had been retired for over 40 years. Despite that, he still had enough money saved to leave a small inheritance to his kids. It wasn’t millions, but it was something. He could’ve lived another 10 years and still not have run out of money. Why? Because he lived well below his means and didn’t let keeping up with the Joneses throw him off stride. It’s a life lesson we would all do well to emulate. This phrase could be emblazoned on the Matheson tartan as our family motto as it came to characterize everything my grandfather stood for. As I mentioned, grandpa was a master storyteller and like much of what he passed on to us, it’s best illustrated by a story from his personal memoirs. He tells the story of being faced with a bait shortage of herring one year as the lobster season was just getting ready to open. As was his practice, every month he went to the telephone office to pay the telephone bill for the company. Back in those days, all calls went through the telephone operator, who in this case was a rather unremarkable woman. Grandpa tells about how behind the dull exterior that many people ignored, was a wonderful personality and the two became friends. One day, as he was eating lunch, he got a phone call from her. “I probably shouldn’t be telling you this but there is a gentleman in town with a truck full of herring. He’s been trying to get through to your competition but hasn’t been able to.” Since all phone calls at that time came into the operator who then patched them through, she had the inside track on the bait just sitting there. Grandpa jumped in his car and hustled into town to find the man. When he did, he bought the bait and his fishermen were the only ones fishing on opening day. For him, this reinforced the maxim that there are no unimportant people. And he lived this life lesson out every day. Grandpa would make friends with everyone and anyone. He was friends with everyone from the server at the restaurant to the nurses in his old folks home. And not just casual friends. He KNEW them and they were REAL friends. And he was beloved by them. Why? Because whether you were the CEO of a massive company or the person refilling his coffee, you were worth him taking the time and effort to invest in you. And he wasn’t looking for anything in return. He just wanted you to know that you were important, not just to him, but in general. It’s a life lesson I’ve learned and try to live out every day of my life and one I want to pass on to my kids as well. In 1980 grandpa was approached by a close friend of his to invest in his gold mining company. Gold was crazy hot at the time, and Grandpa, being the wise businessman that he was, checked out the company and decided to invest a substantial amount. Now you can probably guess where this story is going. Soon after, the price of gold began steadily moving downward, as did the stock of the mining company. Grandpa checked in with his friend to see how the company was faring and was assured that everything was well and that the company was on solid ground. They just needed to weather the storm and things would be fine. All the signs, however, pointed to selling his investment and cutting his losses. But rather than making the smart financial move and selling the stock, he held on…all the way to the bottom until his investment was pretty much worthless. My grandfather was loyal…and it cost him dearly. Loyalty is an admirable quality, but in this case, the life lesson I learned from grandpa was that loyalty can blind a person from acting wisely. My grandfather should’ve sold his investment. But because he was friends with the company owner, he felt an obligation to keep his money in the business. If their friendship hadn’t been a part of the equation, I have no doubt he would’ve sold. And, in all likelihood, would’ve lived the rest of his life as a millionaire. This is just one example of many I’ve seen in my life where business and friendship are a bad combination. It’s not that mixing the two can’t work. It just adds a layer of complication to the friendship that I don’t think is worth it. I would feel awful losing a friendship over a financial issue, but I’d feel terrible losing a lot of money because I didn’t want to lose a friendship. Because of this, I choose to keep the two separate and avoid any potential pitfalls that might cost me money or friends. This story about my grandpa losing hundreds of thousands of dollars has been a part of our family lore for close to 40 years. I’ve heard the story told to me numerous times, but just recently a new detail came to light that BLEW my mind. Grandpa had not been alone in investing in the gold company. He had also advised other people to also invest in the mining operation. Apparently, he thought the company had such amazing potential, that he encouraged his friends to put their money in as well. And since he was a respected business leader in the community, they had listened. When the bottom fell out of gold and their investments sunk like the Titanic, they looked to grandpa for answers. But he had none. Rather than washing his hands of the situation and justifying their loss by telling himself, “They knew the risk. It’s not my fault. I can’t be responsible for the decisions they make with their money.” grandpa showed the type of character and integrity that were hallmarks of his life. He took his own money and paid back what had been lost to every single person he’d advised to invest. And, he’d kept this quiet for close to 40 years. 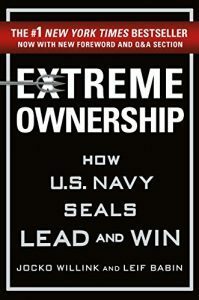 This is what Navy Seal commander and author Jocko Willink calls extreme ownership, that rare character trait in leaders where they don’t blame others, but rather own their mistakes and lead through personal responsibility. My grandpa was ahead of his time. 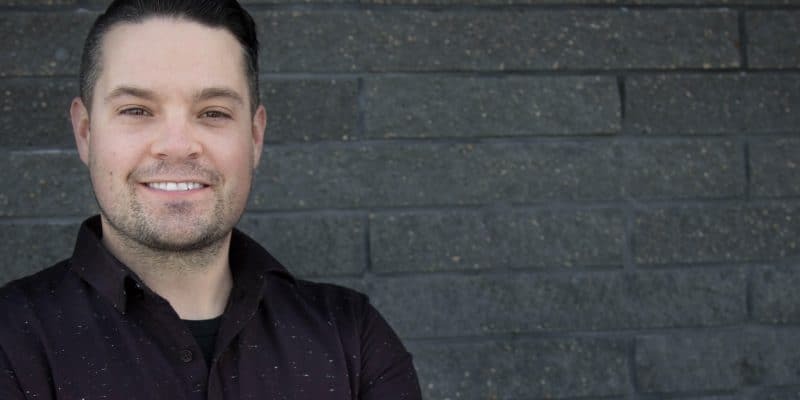 Before people had books and podcasts extolling the virtues of leading with integrity, before it was trendy, he was a leading with personal accountability. It’s something I’ve tried to model in my own life and that I try to pass on to my own kids and the ones in my school. Yes, you will make mistakes. It’s not a matter of if, but when and how many. What’s important is taking full responsibility for your choices. Then, and only then, can you learn from them and grow into the person you want to be, who you were made to be. My grandpa understood and modeled this life lesson for his kids, grandkids, and anyone who knew him. Someone wise once said that life is like a breath, a vapor, here today and gone tomorrow. My grandfather lived every day of his life with the quiet urgency of a man who wanted to make each minute count. But he was never in a rush. I never saw him with a to-do list or come to think of it, even running late for anything. Maybe that’s one of the wonderful byproducts of retirement, but I think it’s more than that. 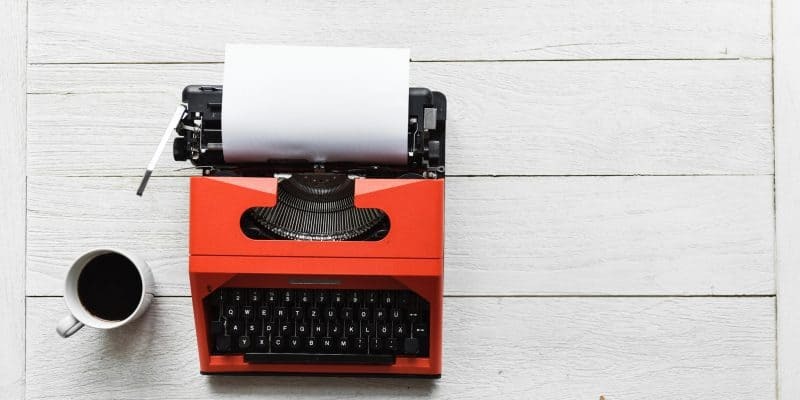 He didn’t move like the frenetic characters of today, rushing from task to task and working themselves into exhausted shadows of their true selves. He always took time, and more importantly, he gave of his time generously. When you were with grandpa you never wondered if he was distracted or if you had his attention. He was always fully present and made you feel like the only person in the room. He worked hard to make each moment count, and count towards what was important in his eyes. For him, that meant people. Now I doubt he was born so naturally intentional about his interactions with people. No, it was something that he would’ve worked at and disciplined himself to grow in. But as he did so, slowing down to engage with others moved from being a chore into a discipline that developed into a joy. He loved people, and they loved him. A big part of that was because he valued them and they felt that from their head to their toes. A person’s last words tend to hold a lot of weight. I think this is because a person’s dying words are the last evidence we have of what kind of a life they lived. But to be honest, I’m not totally sure what my grandpa’s last words were. What I do know is that the way he lived his life every day spoke volumes to those he knew and whose lives he touched. As an old man, grandpa knew that death could be waiting for him around each corner. He had several falls as he got older, multiple surgeries, and lots of time spent recovering from injuries and illnesses. Through it all, even though he did get discouraged at times, he was the master of finding joy in the midst of sadness. One instance of this stands out in particular. Grandpa had the same haircut, if you could call it that, for as long as I knew him, a 1940’s style do where his long grey hair was slicked back towards the back of his head. It was how I’d always known him, and I’d never seen anything different. Well, one time I was visiting him in the senior’s home he’d just moved into. I knew that leaving his house and moving into the seniors’ residence was disappointing, but he wasn’t letting it get him down. As I sat and chatted with him that day, there was something different about him that I just couldn’t put my finger on. After a few minutes of chatting, I realized what it was! He’d gotten a new haircut, a buzz cut, very short. Here was my grandpa, in a home, health failing, just months away from meeting his maker. And yet, he was still joking around and enjoying life with those around him, making the most of every moment he had. And that’s perhaps the most important life lesson he taught me. Make each moment count. All of it. Every day, minute and second. Whether it’s living a life of integrity, treating people like they’re the most important person in the room, or working hard where you’re at with an eye to the future, grandpa lived his life on purpose and with focused intentionality. That’s not to say he was perfect, because he wasn’t. But as a role model, my grandpa was unmatched. Do you want help passing on your money values to your kids? Sign up below for my FREE course How To Teach Your Kids About Money! 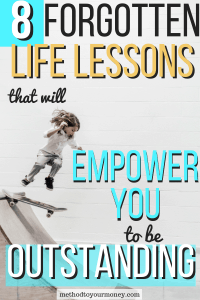 What’s the most outstanding life lesson you’ve learned? Add to the conversation in the comments below or on Twitter @method_money or my Facebook page Method To Your Money. You can also find me on Pinterest. A great tribute to your grandpa. May I prove to be half the man he was! Thanks so much Rick!! I appreciate the kind words and sentiment!! Beautifully written post. As par of my day job, I provide end-of-life counseling. I am touched by the attitude with which your grandfather faced end of life and can attest to the fact that the way one embraces death is inspiring not only to their family, but also to all who have the honor of knowing that person. Thank you for inspiring me with his story. Thanks so much for your kind words. Very cool idea for your blog. I love the name! Psychology impacts every part of our finances and having a professional speak to it will be awesome!